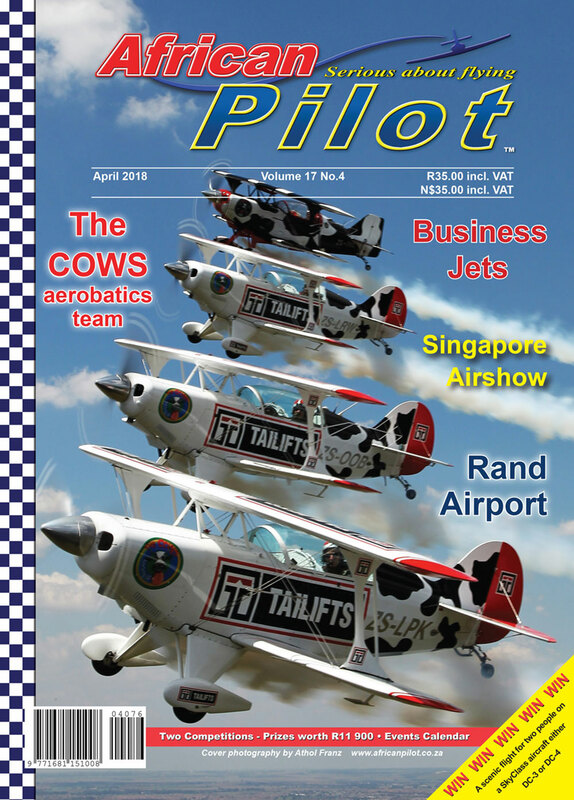 The May edition will feature our annual ‘Helicopters and Helicopter Operators’ feature. 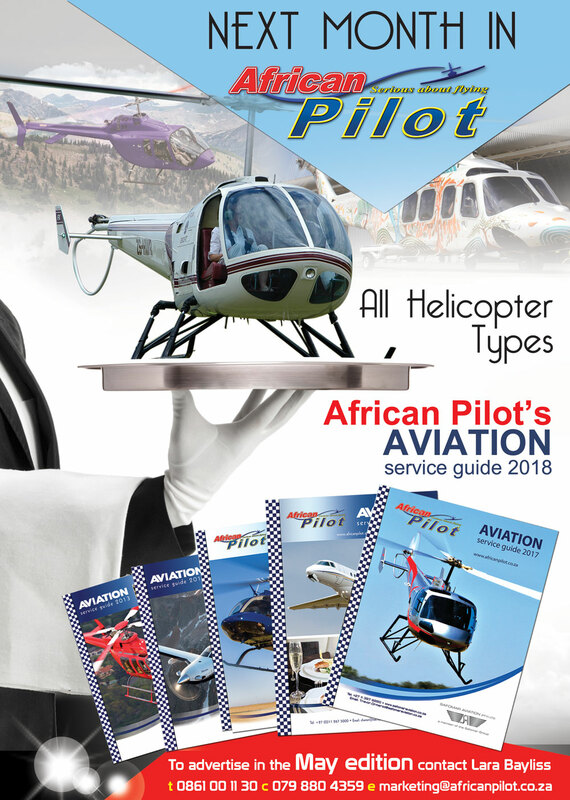 In addition, this is the month in which African Pilot features a separate publication that we have published for the past 16 years, being our annual Aviation Service Guide. The idea of the ‘Service Guide’ is that this has been an excellent reference book that contains specific information on ALL aviation business services. has been extended until Friday 13 April. Easter holidays, we trust you had a good holiday. 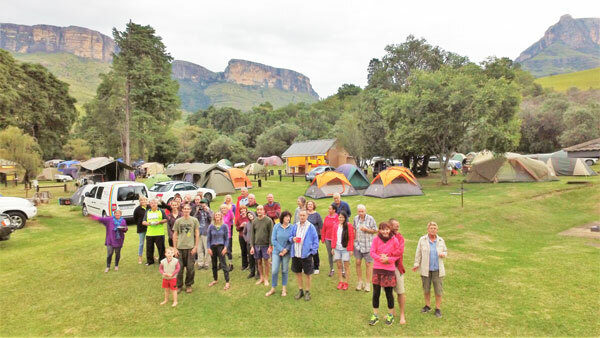 Johannesburg Hiking Club to camp at Mahai in the northern area of the beautiful Drakensberg Mountains. 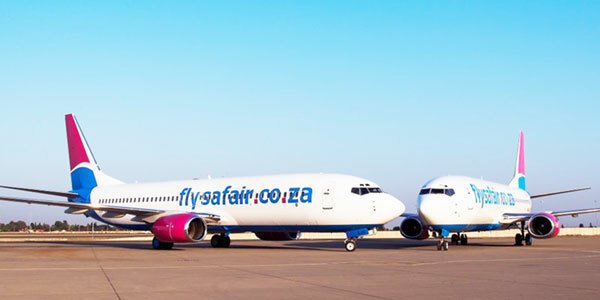 FlySafair has added two new generation Boeing 737 800s to its fleet, considerably upping its capacity on existing routes. 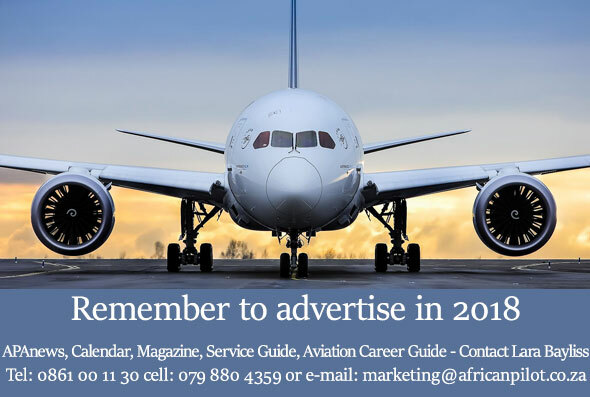 The aircraft are scheduled to enter the airline’s service in late March and late April this year and will see FlySafair’s total number of B737 800s grow to five, bringing the fleet total to 14 aircraft. The first of the new aircraft, which has already been loaded on to the airline’s schedule, will contribute to an increase in FlySafair’s capacity on the Johannesburg / Port Elizabeth, Johannesburg / East London and Johannesburg / Cape Town routes, as well as the Johannesburg / Durban route on weekends. This will see the airline’s overall capacity increase by just over 25 000 seats in July. Since FlySafair first began operating in 2014, the airline has played an important part in growing the capacity on routes across the country. In Cape Town alone, FlySafair grew its capacity to almost 850000 seats in just two years, according to air travel intelligence specialist, OAG. Last year, it also recorded the second strongest growth of all airlines servicing Cape Town International, having increased its capacity by 35% between 2016 and 2017. “We’re constantly looking at new growth opportunities in line with existing market conditions and are pleased to continue gaining traction on our upward trajectory,” comments Kirby Gordon. 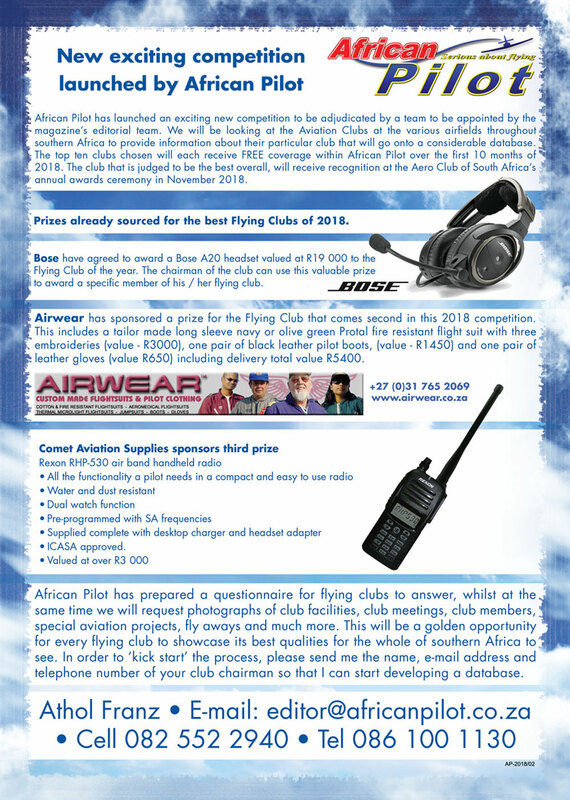 On Tuesday 28 March the annual general meeting of the Aero Club of South Africa took place at the conference centre above the Aero Club at Rand Airport. The meeting was well-attended by about 60 members and the new chairman if the AeCSA is Paul Lastrucci with Rob Jonkers as the vice chairman. Despite repeated requests, the SAAF has yet to confirm that a SAAF CASA C212 went off a taxiway this past week. 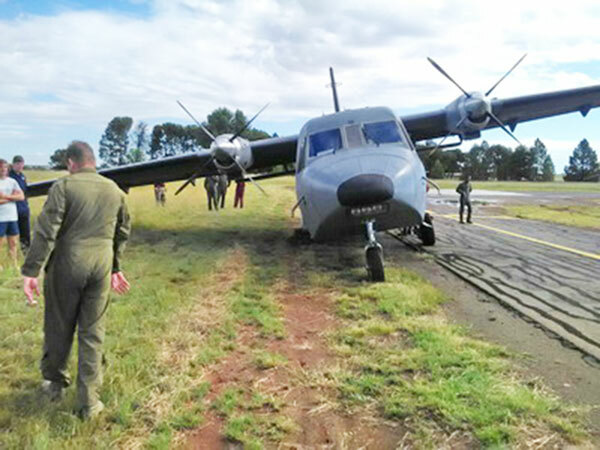 A photograph of the CASA C212 light transport aircraft (serial 8010) stopped partly off a narrow taxiway with its starboard undercarriage stuck in a hole and possibly collapsed. The left side undercarriage is still on the narrow taxiway while the threshold of a runway can be seen in the background, indicating the aircraft may have just landed and turned onto the taxiway when the incident occurred.SAAF CASA C21M2-200 is operated by 44 Squadron based at AFB Waterkloof and was originally flown by the Bophuthatswana Air Force prior to being incorporated into the SAAF in 1994. The SAAF inherited four C212s in 1994 from the air wings of the former Bophuthatswana, Transkei and Venda. 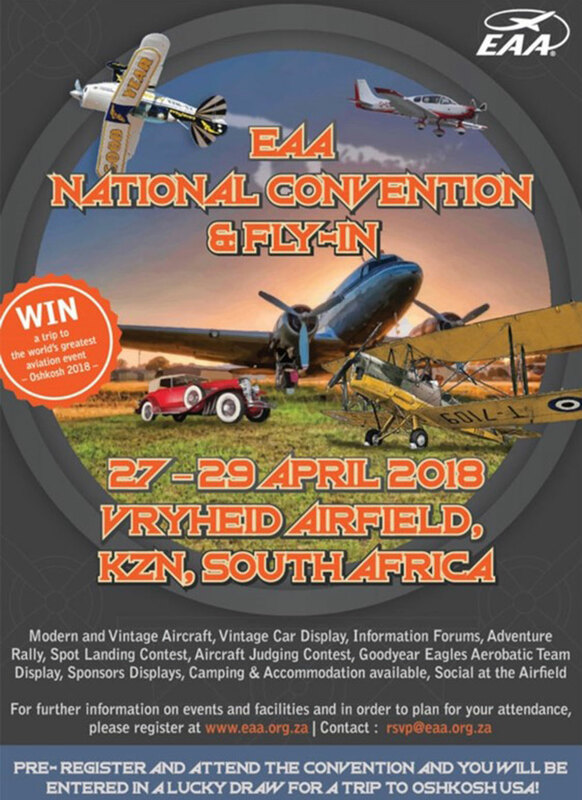 27 to 29 April EAA National Convention Vryheid Airfield over the last weekend in April. Ethiopian Cargo and Logistics Services, a division of the Ethiopian Airlines Group, committed to lease the first two Boeing 737-800 freighters (737-800SF) converted by Aeronautical Engineers from GECAS with the first delivery expected in June of 2018, followed by a second in January of 2019. Ethiopian Cargo and Logistics provides airport–to–airport services across a network of over 91 destinations on both freighter and belly hold services (including both direct service and arranged connection flights). It is also the largest network cargo operator in Africa. With six 777 and two 757 Freighters serving 39 cargo destinations in Africa, the Middle East, Asia, the Americas and Europe, Ethiopia’s state-of-the-art cargo terminal delivers an annual capacity of one million tons with services that range from general cargo to special cargo (including perishable, valuable or dangerous goods, live animals and mail & courier). The AEI converted freighter accommodates eleven full height containers plus one AEP/AEH, a main deck payload of up to 52,000 lb (23,587 kg) and has AEI’s hydraulically-operated cargo door, offering numerous key features to cargo operators. India’s largest airline by passenger numbers and fleet size, plans to order as many as 50 A330 wide-body jets in a deal that would be worth $13 billion. The purchase would pave way for the carrier’s expansion into low-cost long-haul flights. IndiGo’s plans have not yet been made public, but according to unnamed sources, the low-cost carrier aims to take the upgraded A330neo version. This comes as the carrier is developing plans for long-distance flights while building up a fleet of more than 150 A320 narrow-body aircraft operated in the region. No official statement has yet been released by IndiGo, a brand of InterGlobe Aviation, but sources say an announcement for the order could come as early as June 2018. Airbus has reportedly also declined to comment. IndiGo’s plans to expand beyond short-haul flights are reasonable since the country is set to become the world’s third largest aviation market by 2020. Thailand’s Bangkok Airways signed an over $100 million purchase agreement for four additional ATR 72-600s at the Singapore Airshow on 7 February 2018. Deliveries of the four new aircraft will take place between October 2018 and March 2019. Presently Bangkok Airways operates a fleet of 15 ATR aircraft, nine ATR 72-600s and six ATR 72-500s that are being progressively replaced with new ATR -600s. In recent years, the airline has increased its ATR fleet from eight aircraft in early-2014 to the current 15 employed across its domestic and regional network. The Russian flag carrier, Aeroflot announced an order for 50 Russian-built medium-range MC-21, becoming the largest customer of the aircraft. Under the firm order, Rostec leasing subsidiary Aviacapital-Service will supply Aeroflot with 50 MC-21-300 aircraft on operating leases. The leasing payments and reserves for maintenance will total more than $ 5 billion. The aircraft will be configured for Aeroflot to carry 169 passengers, with 16 business-class and 153 economy-class seats. In the first phase of the contract the aircraft will be delivered with engines produced outside Russia. From the 26th aircraft Aeroflot has the option to receive aircraft with new Russian-built PD-14 engines, which are currently undergoing certification testing. The first aircraft is scheduled for delivery to Aeroflot in the first quarter of 2020, with the order planned to be completely fulfilled by 2026. Each aircraft will be leased for a term of 12 years, with the option of two-year extensions on the lease no more than three times. Aeroflot plans to operate the aircraft on both domestic and international routes.The MC-21 is a medium-haul, narrow-body aircraft produced by Irkut Corporation (part of United Aircraft Corp., UAC) in cooperation with Russian manufacturers. Rostec subsidiaries involved in the production of the aircraft were VSMPO-AVISMA, United Engine Corporation, Technodinamika, Concern Radio-Electronic Technologies and RT-Chemcomposite. 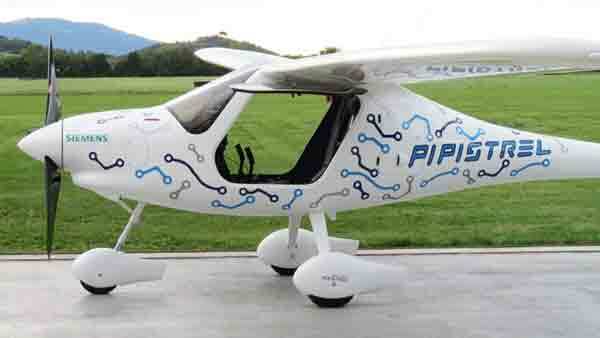 Although electric airplanes still inhabit a regulatory backwater, Slovenian-based Pipistrel Aircraft is boosting its production of battery-powered trainers and reports a 50-50 split between gasoline and electric aircraft. In this exclusive podcast, the company said that a new production line is building five to six Alpha Electro trainers per month. “We reorganised our production floor space. We have three assembly lines and one of them, since late last year, is dedicated only to producing electric airplanes,” says Pipistrel’s Tine Tomazic. “Predominantly, this is the Alpha Electro, five to six a month, flanked by a smaller number of the Tauras Electro motor glider.” Moreover, the company has brought production of motors, battery arrays and controllers entirely in house. Pipistrel has been a leading developer of electric aircraft and three years ago developed what became the battery-powered Alpha Electro from a similar Rotax-powered variant. 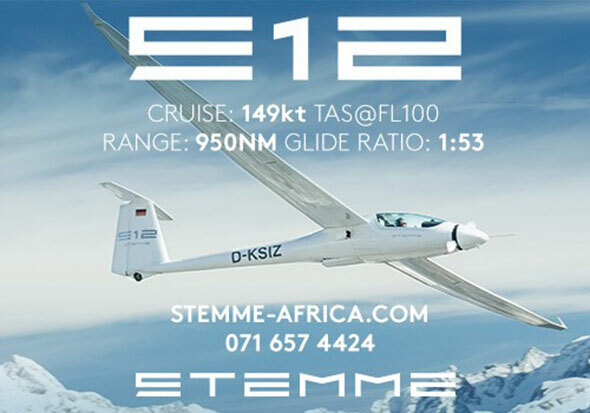 The Electro has about one hour of endurance with reserve and can be equipped with quick-change batteries or, more popular, a fast-charge option to replenish the batteries in the airplane. Tomazic says fast charging is the overall trend for all battery systems, especially vehicles and he foresees the day when charging may require as little as 15 minutes. While battery energy density has improved at five to seven percent per year, Pipistrel says it can’t use state-of-the-art batteries because of cycle and charging limits. The aircraft is designed to be flown for about an hour and then placed on the charger, with no resting time. Switzerland and France have approved pilot programmes for electric trainers while Australia has in place a more formal programme. Tomazic concedes the difficulty of blanket approvals. “Not all countries are acceptable to the idea of flying electrically, let alone training with electric airplanes,” he says. He adds that certification efforts currently focus on collecting real-world data to see how the airplanes work, how people react to them and how the charging infrastructure functions. “It’s a continuous development, not of the product, but how the product may be used and what specifics need to be taken care of so that safety is not compromised,” Tomazic says. 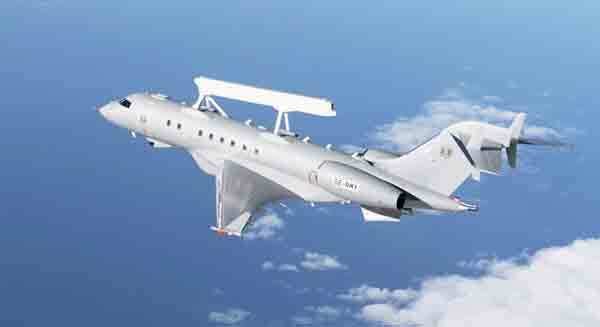 On Monday 26 March Saab successfully completed the first flight of the GlobalEye Airborne Early Warning & Control aircraft in Linköping, Sweden. The aircraft, a modified Bombardier Global 6000 jet platform, undertook a 1 hour 46 minutes test flight collecting extensive flight-test data using the on-board instrumentation suite. This data is then used to verify the aircraft performance and associated modelling. The first flight was preceded by a series of ground trials including high and low speed taxiing tests. The GlobalEye launch customer is the United Arab Emirates Armed Forces, where it is known as the Swing Role Surveillance System (SRSS). The initial order was placed in November 2015. GlobalEye brings extended detection range, endurance and the ability to perform multiple roles, including tasks such as search and rescue, border surveillance and military operations. Airbus has for the first time formally delivered two A400M new generation airlifters to two different nations in one day. 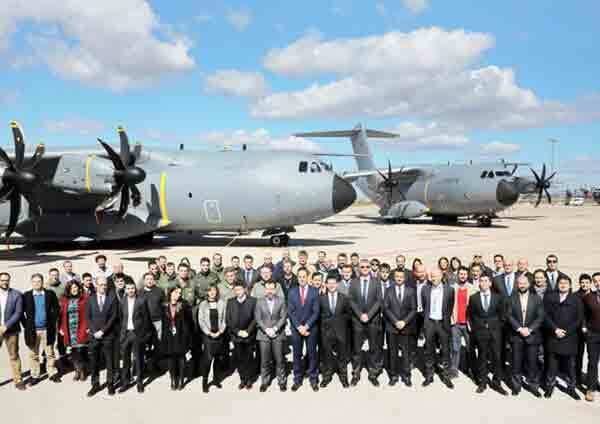 The company handed over the aircraft on 20 March to the European Organisation for Joint Armament Cooperation (OCCAR), in charge of the management of the A400M Programme, representing Germany and France at a ceremony in Seville, Spain. These latest deliveries were the 60th and 61st A400Ms to be handed over and take the German and French fleets to 18 and 14 aircraft respectively. 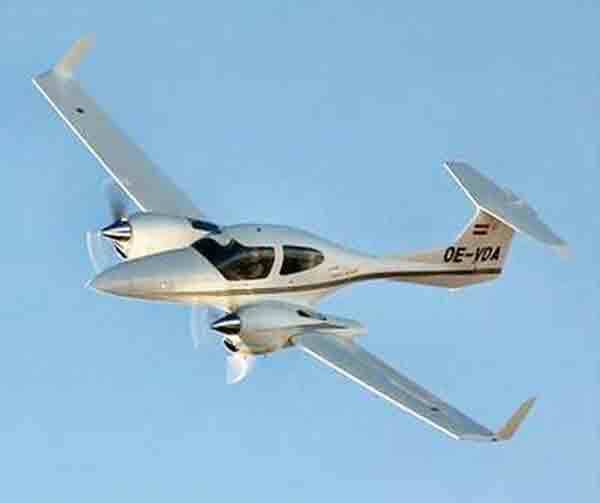 Based in Austria, Diamond Aircraft was sold to new owners in China last December and last week the company released details about how the new owners plan to manage the company. Wanfeng Aviation Industry will focus on continued growth and maintain the site in Austria as ‘global headquarters.’ The company will continue to develop new technologies and new products, including the Dart turboprop aerobatic trainer and the DA50 single-engine models. Some products pursued by the former management are ‘under evaluation’, including the Dart-280 helicopter and a tiltrotor concept. The company will add to the 600 workers at its Austria headquarters, mainly in R&D, sales and marketing, production and support. Diamond Canada added about 100 new staff over the past year. Christian Dries, who founded the company more than 25 years ago, said he decided to sell the company after he turned 60 and no one in his family was interested in taking over. “Diamond is my life’s work,” he said. “In the interest of a successful long-term future, we needed to find the right partner to continue our good work. Wanfeng and specifically Mr. Bin Chen (president of Wanfeng) share my vision of the future of general aviation and are investing for the right reasons, with a long-term strategy and the resources to see their vision through. I look forward to seeing Diamond develop further and based on our successful year-long partnership in Diamond Canada, I am fully satisfied that I leave Diamond in very good hands.” Dries will maintain an advisory function to help guide the new ownership and ensure the continued development of Diamond Aircraft Group. On Saturday evening, 24 March around 236 passengers took part in a major milestone in the aviation industry when QF9, taxied down the runway at Perth airport to take off for the first non-stop passenger flight to London; covering more than 9,000 miles with an approximate duration of 17 hours and 20 minutes. 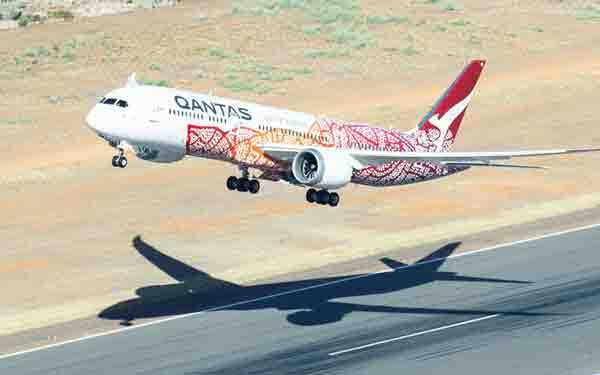 In late 2016 when Qantas first announced its intention to fly Dreamliners on a non-stop route between Australia and London’s Heathrow Airport, Qantas Group CEO Alan Joyce said, “This is a game-changing route flown by a game-changing aircraft.” Joyce says that the direct flight “makes travelling to Australia a much more attractive proposition to millions of people. We expect many travellers from Europe will start their time in Australia with a visit to Perth before going on to see other parts of the country.”The GEnx’s innovative combustor is not only fuel efficient, but it also produces fewer emissions than previous engines in its class. 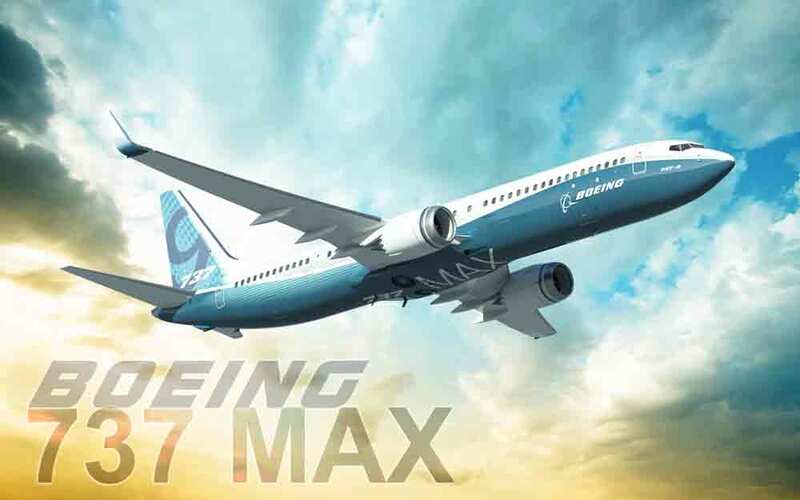 The engines run 40% more quietly than previous technology and the turbulence and vibration-smoothing systems on the Boeing 787 mean that its ride tends toward glide. 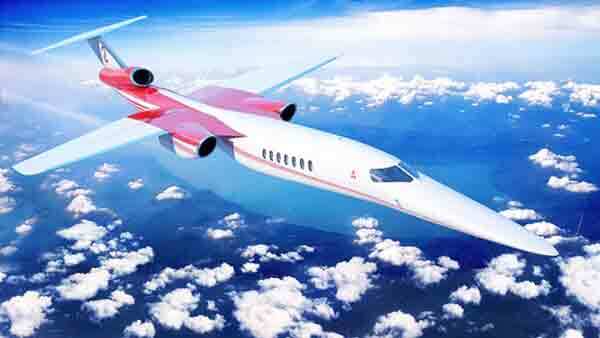 With supersonic business jet (SSBJ) concepts again in the headlines, could they finally be closer to reality? While the existence of a modest market has never been in doubt, cost and persistent risks related to regulatory, engines and sonic boom noise have discouraged production commitments. One primary regulatory risk has been defining what constitutes an acceptable sonic boom noise over land, which can be quite subjective. Manufactures have been hesitant to design something that was later discovered not to meet the expectations of what authorities felt it ‘should’ sound like. Today the U.S. Federal Aviation Administration is re-examining the current ban of supersonic flight over land. They will be reporting in the coming months which will hopefully provide the industry with much needed guidance and design latitude. There are currently two trains of thought amongst potential designers; those who think slowing down over land is an acceptable method to control sonic boom noise and those who believe the market will only accept full supersonic speed capability over both land and water. The design that is first to market could ultimately guide this debate. Even if a SSBJ is producing an acceptable sonic boom noise level in cruise, a phenomenon known as a ‘focus boom’ could occur whenever the aircraft manoeuvres or accelerates. This can amplify the boom above an acceptable threshold and be heard at very specific points on the ground. Design and certain flight restrictions could perhaps limit this. Having a powerplant that is able to operate in the supersonic regime while still offering reasonable times between maintenance overhauls has also been an issue. There also may be a question of who pays for the development of a new or derivative engine that meets these unique performance and durability requirements. Besides engines, another challenge is that some SSBJ designs will require approval of a forward vision system for pilots since they can’t see the runway over the long, bullet-shaped airplane nose during landing. A few of the traditional business jet makers have floated the idea of a SSBJ over the years. In almost every case, when pressed for when the concept would come to market, the answer was inevitably ‘10 years’. However, recently entrants from outside the established industry, the answer has been condensed to be five to seven years which Foley views as a bit aggressive but nevertheless bullish. 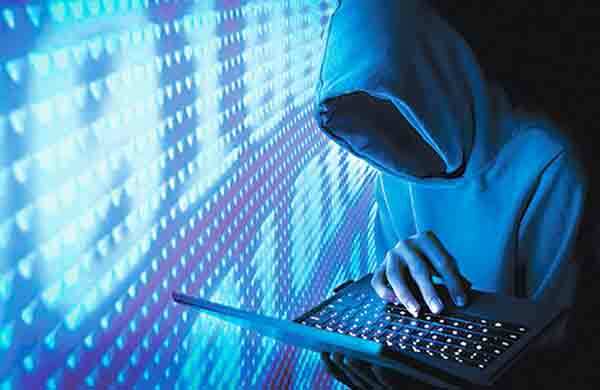 An attack by Russian hackers on several American infrastructures, including the civil aviation, has been revealed by the Aviation Information Sharing and Analysis Center (A-ISAC). The attack happened in March 2018 and targeted other sectors such as water treatment, nuclear energy and strategic industries. According to Jeffrey Troy, executive director of A-ISAC, the assault barely had any visible consequences, but it might have affected some aviation companies. It was detected in the early stages of the operation, in the ‘probing’ phase during which hackers usually test cyber defences to find a security breach they can exploit. Jeff Troy assured that the A-ISAC had since taken measures to further secure American civil aviation systems. Virgin America computer systems have been hacked, causing the compromising of employee and contractor information. It is the first time that the United States authorities officially confirmed that Russian hackers have targeted networks affecting the lives of millions of Americans. Aviation is a frequent objective for terrorists as it has a lot of symbolic weight and its disturbance can greatly impact society. By relying more and more on technology and inter-connectivity between their systems, airlines increase their vulnerability to hacking, according to Lance Hoffman, research professor in Computer Science at George Washington’s University. Russian hackers were also suspected to have attacked several power plants in July 2017, including the Wolf Creek Generating Station, a nuclear power plant in Burlington, Kansas. Symantec, the leading cyber security company based in California, had warned at the time that Russian hackers could potentially be able to create blackouts on the American soil. The largest military manufacturer of the United Kingdom, British company BAE systems has just agreed to an order of 48 Typhoons for Saudi Arabia. This new order reinforces the Eurofighter Typhoon programme whose viability was threatened less than a year ago. That new order follows an option that Saudi Arabia had placed when it had bought 72 jets in 2007. It has been placed after a three day visit of the Crown Prince of Saudi Arabia, Mohammad bin Salman, to the United Kingdom. 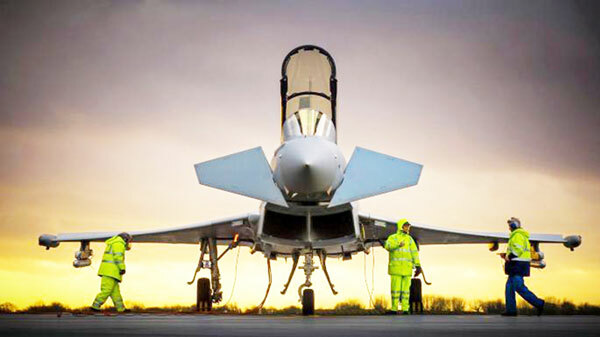 The production of the Eurofighter had been reduced last year as BAE failed to secure sales. Until the order of 24 Typhoons for eight billion of US dollars made by Qatar in December 2017, the production was expected to stop in 2022 with the dismantlement of the Lancashire production line. BAE already announced the suppression of 1.400 jobs in its aeronautics department. Except for the four partners involved in the Typhoon programme (Italy, Spain, Germany and the United Kingdom), only four other countries have placed orders for the fighter, namely Austria, Saudi Arabia, Kuwait and Oman. Overall, about 600 planes have been ordered, which is so far a better performance than its main competitor in the 4.5th plane generation, the Dassault Rafale. China has been developing several projects of space planes, both for civil and military use. The latest one was tested in the Gobi Desert of Mongolia in February 2018. Developed by China Aerodynamics Research and Development Center (CARDC), it gave back satisfying results. According to a CARDC, the unmanned plane, a scaled-down model, managed to reach five times the speed of sound and landed back precisely where it was expected. Like several other Chinese space plane projects, the objective is double: those planes are developed to penetrate through enemy defence systems, but also to be used as low-orbit hypersonic passenger planes. They could also be used to launch space craft or retrieve satellites. The conscious objective is to compete with the SpaceX programme. The use of airplanes instead of rockets would make that kind of transportation more attractive to the civilian public. A similar project is developed in the United States by Boeing. Named XS-1, the objective is to create a plane that would be able to put a load of 1.8 ton into low orbit. It should be cost-efficient with less than five million US$ per launch and should be able to launch satellites daily for 10 days. Unlike the Chinese models, it should be a hybrid of a rocket and plane, at it would launch vertically but land horizontally like the former NASA space shuttle. The first flights are expected by 2020. Japan has been trying to design its own stealth fighter plane for a while now. After the U.S. Congress announced that the F-22 would not be available for foreign countries because of its advanced stealthy technology, the Japanese Ministry of Défense decided to start a project of its own. But except for the announcement of the F-3 (ATD-X project at the time) and the maiden flight of the X-2 ‘Shinshin’ prototype developed by Mitsubishi Heavy Industries in 2016, not much has been disclosed about the Japanese development of a 5th generation plane. Only few details are known yet and some of them date back to the first models produced, when no prototype was even built yet. Unlike the American F-22, the F-3 should use 3D vector thrusting. There has been a lot of debate around vector thrusting since the first development of 5th gen stealth fighters. So far, it is a choice between either more thrust or more manoeuvrability. With its Su-57, Russia has definitely chosen manoeuvrability, giving up on back stealth to focus only on reducing its front Radar Cross Section (RCS). The circular nozzle on the Russian Iwd.30 exhausts provides a lot of radio wave reflection. But the 3D vector thrusting of the X-2 is quite different. It actually uses a design similar to the X-31, a German and U.S. project plane and to the F-18 HARV developed by NASA, with three independent paddles at the back of the exhaust that gives control over pitch, yaw and roll. Compared to a circular exhaust, the three paddles would take in a lot of temperature, but the X-31 and HARV have proven that it was doable. The specific demands targeted at British and U.S.-based constructors would hint at the use of either the F-35 design or the Typhoon Eurofighter, even though the latter was not designed with stealth as a priority. The need for a new air superiority fighter is growing for Japan, as it has accused China of repeatedly violating its airspace in the last years, especially in the disputed East China Sea islands. Drone flights are restricted within five miles of an airport, unless the FAA gives advance permission, but now the FAA is beginning to approve flights within the airport boundaries for professional operators. Last week, the FAA said it will allow first responders to operate drones at Dallas/Fort Worth International Airport — one of the busiest airports in the world. The airport’s police and fire department can fly drones, but they must remain lower than 50 feet above the ground and the operators must maintain contact with ATC at all times. 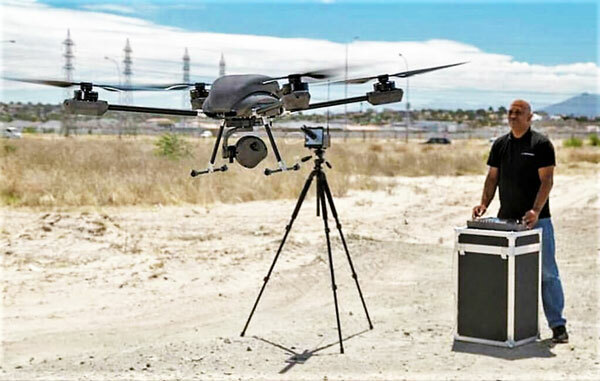 The drones can be equipped with infrared cameras and zoom capabilities to help responders detect various kinds of threats and hazards. The first FAA approval for such operations went to Hartsfield-Jackson Atlanta International Airport — the world’s busiest airport — last March. ATL hired a drone operator to help with runway inspections. The contractor said the drone could inspect the runway in less than half the time it would take for the traditional method of manually photographing the runway surface. 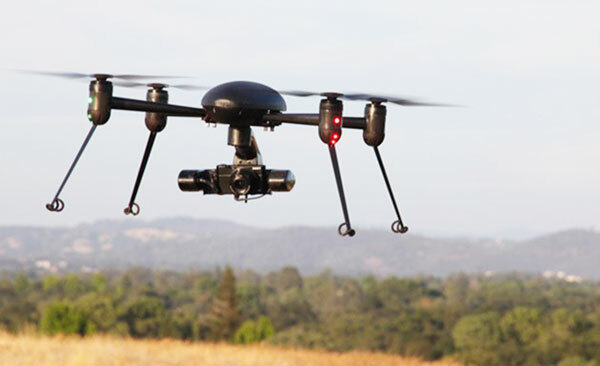 In a recent report, the FAA said it estimates there are now about 1.1 million drones being flown by amateur operators in the U.S., and it expects that fleet to double in size over the next five years. The number of drones operated for commercial purposes also is growing. About 110,000 commercial operators had registered by the end of 2017, and the FAA projects about 450,000 operators by 2022. Once upon a time there was a king who wanted to go fishing. He called the royal weather forecaster and inquired about the weather forecast for the next few hours. The weatherman assured him that there was no chance of rain in the coming days. So, the king went fishing with his wife, the queen. On the way he met a farmer on his donkey. 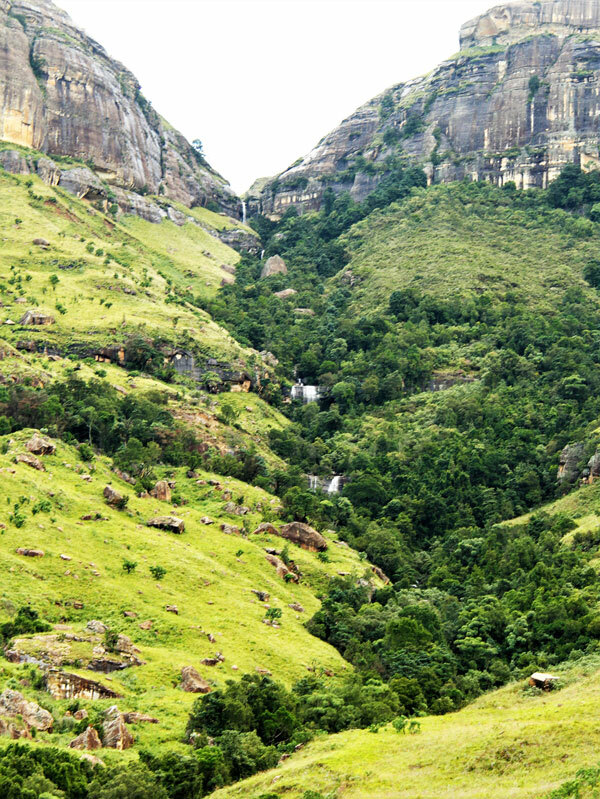 Upon seeing the king, the farmer said, “Your Majesty, you should return to the palace at once because in just a short time I expect a huge amount of rain to fall in this area”.The king was polite and considerate, he replied: “I hold the palace meteorologist in high regard. He is an extensively educated and experienced professional and I pay him very high wages. He gave me a very different forecast. I trust him and I will continue on my way.” So, they did. However, a short time later a torrential rain fell from the sky.The King and Queen were totally soaked and their entourage chuckled upon seeing them in such a shameful condition. Furious, the king returned to the palace and gave the order to fire the weatherman at once! Then he summoned the farmer and offered him the prestigious and high paying role of royal forecaster. The farmer said, “Your Majesty, I do not know anything about forecasting. I obtain my information from my donkey.If I see my donkey’s ears drooping, it means with certainty that it will rain.” So instead, the King hired the donkey on the spot. Thus, began the ancient-old practice of hiring asses to work in the government and occupy its highest and most influential positions.